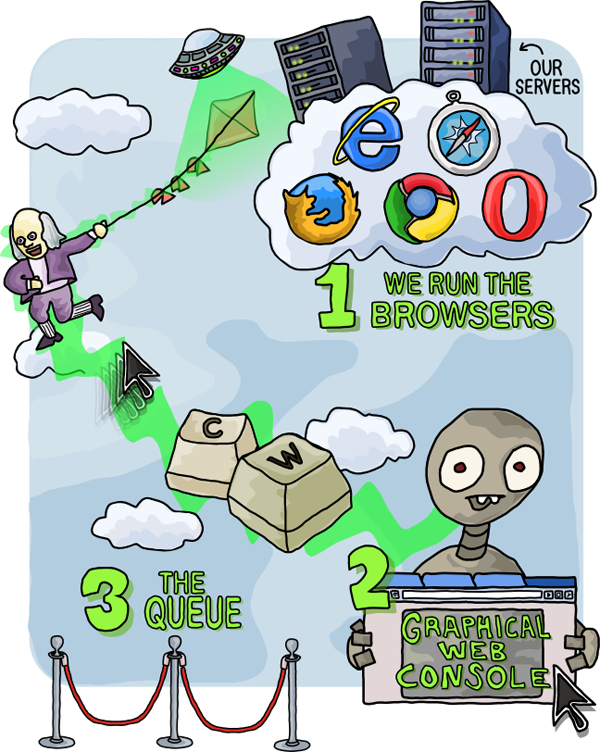 We run the browsers on our servers. You use the browsers from the graphical web console. If the servers are full, you wait in the queue.